@snguyenova, want to see how many people like your analysis and your words about the ending? 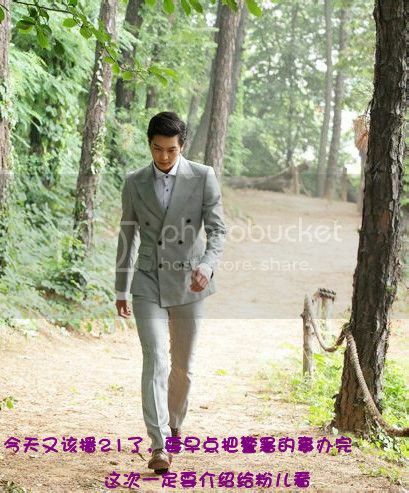 Go to this Bridal Mask FB. The admin of that FB actually liked what I quoted from you also and there are 141 liking what you wrote. In regards to what you wrote about MD's protection for KT. She did tell him that she'll support him and walked through with him to the pit of hell when he met her again and revealed to her the truth about himself (in episode 18), but that was very indirect. At one point I was thinking that it overshadowed that she'll die and it actually happened. I don't remember all the scenes, but most of the episodes from 18 and onwards Mokdan became a different person after she knew that KT was her Young Master. She walked around with awareness and that made KT's life easier. And after episodes 18 and onward, there was no more scene of KT rescuing MD, but most of it show MD supporting and helping KT. There were also some scenes where KT was supporting her, but it was really the end of him rescuing her. For me, personally, both MD and KT owed each other because they rescued each other. He rescued her by asking his family to take her in from the beginning when her mom passed away in the forest and again, he rescued her so many times when he found out that she was Boon Yi. And then she got tortured and got whipped for not saying who BM was many times, but she never gave in to those and I think that's a form of protection. Also at the end, she rescued him by taking the shot for him. Don't you think it's a bit ironic? I didn't want to think you have to give your life back to the one who saved you. For me, she gladly died for him because she loved him not because she was saved many times by him although it was a part of it. Love speaks with action and her dying at the end is love-in-action. And because he had been asked to give a promise and he lived well, so I think his is love-in-action also. Sometimes you love a person so much you wish the best for them and sometimes it's okay even if you have to sacrifice for that person. Mokdan was really that kind of person. The more reasons to admire MD for her faithfulness and her carry-through with what she stood for. And Kangto was also that kind of person, too. Maybe it was difficult to live alone, but he had to live without her because of his promise. There was a scene in episode 18 in which I wrote that KT was healing from his wound through MD's words/comforts. In that scene he told her about him killing his brother accidently and he was very vulnerable. He must be very courageous at that time to tell her the truth. A lot of us back then wondered why she wouldn't even cry for him. Now I realized that at that moment she was a spiritual companion for him. He was sharing with her his deep/dark secrets about who he was. She didn't have to cry at that moment because she was listening to him sharing his inner-self. (I know that if he shared this with me I'd cry for him because I am not as strong as she is, but she has a very strong prayer life, so I think what he shared with her she can relate and like a lot of you said before in this thread that she went through rough times striving/living on her own, too, so it was natural that she accepted him). He cried and by sharing his inner-self he opened up his wounds, but through sharing with her and got accepted by her, he was somewhat healed from it. I don't remember him telling/sharing his killing of his brother with anyone. She was the first person that he shared it with and the second person being Shunji. rhaps wrote that KT was a person who doesn't talk a lot and does action most of the time. That's so true and I agree with her about this because I think most of the time KT really just did most of the things. I didn't really remember him saying I love you to her either, but he spoke through his actions. At the end he still did so by living a strong and well life. That brought some comforts to my heart. MD dying for the person she loves and KT living for the person he loves. I watched episode 1 again and I saw little MD praying to meet her Young Master. Oh my. I missed out so much. I'm so going to rewatch their old/younger moments in the future. *just a note on the word "owe" ---hope you don't take it literally..hehe..I'm sure they're debt-free of each other since most of the things they gave to each other were freely given and freely taken...there's no force here....no possessiveness either. Oh yeah, I love a lot of 1-liners or 2-liners of KT & MD. I can't remember them all, but some of them are so philosophical for me. Since I was at that BM FB, might as well as borrow their capture. I hope I get a chance to finish up this drama this weekend. Are you going to watch anything else? I'm planning to move on to FF soon and watch JW's new drama when it comes out in Jan. I just rewatched the scene that MD died. No tears come out of me, dear. I guess I am not honest with my feelings. Joo Won did a better job than me at crying. Will tell you later if I actually could cry. @snguyenova please feel free to PM me instead of responding here if you wish in regards to what you're watching. Thanks. There is a Joo Won & Jin Se Yeon KangDan FB available if you want to take a look. Sometimes it's nice to go there because it's easier to browse pictures there. @mojobobo, I think you posted this video before on the ending of BM, right? I think this is the longer clip of the four cast member? Last time it was cut into two, no? Or maybe I forgot it? Nevermind then. I'm going to post this since it is longer and it has the two main ladies and some other cast members also. Did you by any chance translate them all? I remember you only translate JW & PKW only. If you did, will you let me know? Cuz I want to know what they're talking about. Thanks. rynhanna said: @snguyenove, very well said. Your post made me cry all over again. Indeed, this drama is a piece of art. 1) When Joo Won and PKW imitate Yoshio shout "Get out of Jongro Police Station now!" 1) Shunji: What do you think Yang Baek and Dong Jin is planning by joining forces?2) Sato Hiroshi mumbles: Superintendent, Its the bombing of the Governor.. general office..3) Shunji: Sato Hiroshi, why are you not answering?4) Sato Hiroshi: Ermm.. ermm..5) Shunji: This is an order! Talk now!6) Sato Hiroshi thinking "How tall is that hair going to grow?? "Don't really get the meaning of the dialogue..
sunshine4ever said: @snguyenova, thank you so much. I think that Mokdan and Kangto lived on and survived because they had each other. To have a companion who gives you strength and cheers you up when you're down. That's great enough and that's bearable enough especially when at the end they have no one, but each other. Anybody that inspired us to live on and overcome any tragedies are our heroes. You are right. Mokdan and Kangto are each other's heroes. I have no doubt in it. It's interesting to hear your perspective, but it's like seeing a new birth/renewal of KT & MD's love at the end of this drama although I know it's sad for me as a viewer to not see them together. *tears* Thank you so much for those sweet capturing of them. I <3 them both and they are also my heroes. Their love for each other really survives in me. <3 I feel so compassionate to couples who lived through and/or lost each other due to war because of KT & MD. @autumndew, thank you for the picture. When I looked at it I automatically thought of Bridal Mask, hehehe...^^ I love that scene that he was getting dressed as Bridal Mask to meet up with his Boon Yi. It's like he's getting ready for a date. I finally got my OST! It looked exactly like what coolreborn captured on the pictures above. No pictures of any couples just individuals. I happened to be checking something out on youtube and chanced upon that first Kangto-Mok Dan hug scene at the end of ep 12 and beginning of ep 13, the scene where Bridal Mask kissed Mok Dan on her forehead. It’s funny how your perspective can change when you re-watched the drama again and re-visit scenes like this one. I am so glad that over here, it was Mok Dan who made the first move and stepped forth to hug Kangto. Kangto would never have done that. Although he risked his life to save Mok Dan and loved her dearly, he probably thought he wass unworthy of her love because of all those things he did in the past, to her, her father and to his people. All he could do was to protect her at all costs and save her father, I really don’t think he dared ask for more. When Mok Dan hugged Kangto, you can see that he was completely surprised and at first, his arms just hung down his sides. It took a couple of seconds but when he hugged her back, he was crying(the mask hid his face but you can see the tears in his eyes and his mouth trembling). The way he wrapped his arms around her was so protective and so sweet. And he went on to caress her hair so lovingly. That’s not all, he even kissed her hair(I freely admit I have not watched enough kdrama romantic scenes but I always thought the way Joo Won puts in this little touches sometimes makes them more endearing than an all out kiss). I can imagine that for the longest time, Kangto had never felt loved this way and definitely no one has hugged him like this before. I am not talking about romantic love but just a very basic human desire to be loved and to have physical intimacy like a hug. It didn’t matter to him then, that Mok Dan didn’t know it’s Kangto behind the mask as he gave in to the feelings and emotions all welled up inside him. For Mok Dan, she had been suspecting that Young Master is Gaksital but I think it was there and then she was sure they are one and the same person. She had been looking for her Young Master for so many years and recently, there’s this masked hero who had repeatedly saved her life. She had hoped he would be Young Master as how awesome it would be that the boy she has loved all this while had grown up to be the hero of Joseon, fighting for his people, possessing the same ideals as her. She was so unwilling to let him go that she held on to his hand when he was about to leave. I think that blew whatever inhibitions he might have. And that’s how he got to kiss her on her forehead. When I first watched that scene, I was ranting about how they only gave us a forehead kiss and not a proper one on the lips. Now looking back, I realized the reason why. Kangto would never kiss Mok Dan on the lips while he was still behind the mask, it would be totally dishonest on his part. His kiss on the forehead is more of an outburst of his affection. The kiss in ep 18 would be the first romantic kiss they share when she knew at last who he was and accepted him. MD: What 1N2D? I have a lot of clothes to watch. I have no time. MD: Cute is not my cup of tea. I am not going. Moreover, I have lots of laundry to do. KT: Don't worry about the clothes, Oppa will help you. KT: Boon Yi, you must come. Oppa really likes that maknae. KT: There are also many adorable Ahjussi inside. MD: Oh....All right. Then you go and wash these clothes. 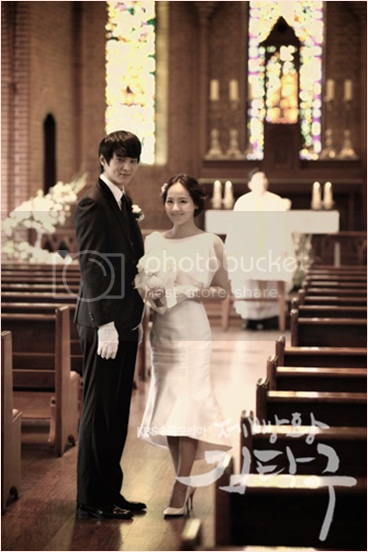 I went to dig out real pics at Bridal Mask official site and I found this picture which was in the OST, but in the OST the picture is a bit blurry and far away. This picture has the Scriptwriter (wearing blue sweater) standing next to Se Yeon and the director stood to the left of the scriptwriter. Just want to bring this pix up since the scriptwriter and the director were two main people who made this show so awesome! Plus the cast's awesome acting, too, of course. A rising star! She has become very popular. Korea keeps an eye on Jin Se Yeon. She first greeted viewers and introduced herself and that she is currently filming the drama, Bridal Mask. The drama is gaining popularity. She said when she first met up with the BM director and knew that she was going to play Mok Dan, she “could not think of anything” and “did not expect much” and worried whether if she can handle the role of Mok Dan since Se Yeon was to play one of the main lead of the drama, that “the role was important to the drama” and “the characteristic of the role was very emotional”. Then she continued to say that after BM broadcast “I have a lot of fans. People sent me messages a lot. So I am happy” She said that she was concerned of how BM would compete with other dramas airing on the same timeslot. But then she was happy when realised that BM was become popular and was on top. Atmosphere on the filming set? On BM filming site, she said “I tried to be energetic because I am the youngest”. She then went on talking how worried she was filming the “underwater scene” and the “bath scene”. She said that she was afraid of water and not swim well so on the date of filming the scene, she was worried at first and the director was also worried but she said that eventually she got to enjoy the shooting and how this had come a unique experience to her and one of her memorable scene. As for the bath scene, how she did not mind when first reading the script but got nervous on the date of filming. Because the BM staff kept filling up the tub with hot water to keep her warm, she said because of that , she was comfortable filming the scene. Best scene of Mok Dan? Then the video showed the scene where Mok Dan performed mask changing on stage. The interviewer asked her what was the best scene of Mok Dan? Se Yeon pondered for a while and said that she remembered the first scene where MD changed the mask. Se Yeon said “I like that scene because it described Mok Dan”. Similarity between SY and MD? “I think there are some qualities same but different. I believe Mok Dan and I are both trying to be positive. I think we both don’t cry even we have difficulties. Also, we try not to show that we are tired… The difference is that she (MD) is strong” She then went on to say that “I like physical education when I was young. I always demonstrated the move at PE. I was good at running & rolling”. She then mentioned that she got bruised a lot and sustained many small injuries doing the action scenes. She then talked about the fighting scene between Han Chae Ah and her. She was laughing and stated that she had fun filming the scene because it was the first female fighting scene and hence it was unique. She then talked about when girls fight, they usually grab each other’s hairs but in BM the fight involved some kicking so it was new and interesting. If she had any “Ulterior motive”, she was asked when filming the fight scene? She laughed and said that she was too immersed into the role and if she had to hit someone, she would hit hard as she supposed to but there was no ulterior motive. Next, she talked about working with other BM casts. She said that “Working with other actors and actresses, we get along very well. People take care of each other. So I depend on them. I would ask them to teach me”. About Joo Won & Park Ki Woong. A kiss scene with Joo Won? Se Yeon said that because they were filming in the woods and there were many flying bugs. “We had to shoot again because of the sound of cicadas. Against our will, we had to shoot for several times." What if you have lived in that time? What does BM mean to you? At the end of the interview, Se Yeon mentioned that “The story of the drama went on differently than what I expected it" and she had no idea where and how the drama or story will end up but she said there will be a lot of actions and touching, interesting stories so she implored viewers to stay tune with the drama in the hot summer. @Jessi15, thanks so much for transcribing this! I finally found the courage to watch episodes 27-28 and I just wanted to wrap up my thoughts for the ending although it might have been repeated many times by others already, hehe. I was crying for Kangto and Shunji in front of the yard that they used to practice Kendo together. I watched episode 1 again and KT & SJ used to have a duel when KT was mad at his mom and left the house to SJ's place to spend the night there. There was a flashback of SJ giving KT food back then and it was just making me cry harder. I was crying along with Shunji when he saw his dad died. It was really sad because that's the last of his family member. I know his dad was a bad person, but still I couldn't help but cried for him. I think maybe KT was regretting killing SJ's dad a little bit because he was telling MD that he did not want to see SJ again and I think he may be afraid of SJ's vengeance. Then I felt happy for both KT & MD because they finally had their times together. I was laughing aloud with KT & MD when she was cooking and he just popped in to eat her food after they talked about getting married. Maybe this was the first time I ever heard them laugh-out-loud together? The scene that Bridal Mask and Dong Jin people came to rescue the students touched me so much. I was in tears. And also there was a scene with Rie & SJ drinking wine together. SJ was so stupid. All he had to do was escape with Rie or something and they could have a better life, yet he chose to follow Ueno's orders and wanted to kill KT! I agree with Rie when she was trying to rationale with him and after he insisted on going after Esther, she said he was stupid. I most definitely agree with her that he's stupid. And because she already forewarned him about his actions causing damages for other people, I think I pitied him less because he was aware of the fact that if he killed KT he'll only make MD's life miserable. Leader Jo was really like a second dad to MD when he made MD & KT's wedding so special and I couldn't help but cried when SJ killed Leader Jo. I was really happy when the wedding came and then was crying my heart when MD was telling KT her last words. I realized that because before I didn't really watch it in sequence so maybe that's why I couldn't cry. But then I saw that MD was really sad before she left him. She was touching his cheek and I think she wanted to wipe away his tears, but she couldn't. She was barely caressing/touching his cheek before she died. I was crying because she wanted to cook for him, but she couldn't. She didn't want to leave him at all and I cried real hard when he was crying for her. I just felt like both of them lost each other then, but the scene that he was at her grave touched me deeply. I did mention this comment before, too, and I was touched that he could stand up again for her and for those students who passed away at their wedding. I was in tears when there was only one student left out of all those students at Dong Jin Camp. I cried for Hong Yi (I hope I got her name right) got shot and killed. They said they're going to reclaim her. And then I cried for SJ when he was going through pics of MD and KT and finally when he reached the pix with just her alone. *tears* I know it had been said in an interview that SJ had probably stopped loving MD for a long time now or something, but his tears were so real to me. I just think that maybe he did love her and to lose her caused him to be so remorseful for his sins. I cried along with KT & SJ towards the end especially with KT after he heard SJ's gunshot. And I cried with Nanny when she was coming to claim SJ's body and cried. (The nanny looks like she's going to live alone the rest of her life since everybody in the Kimura family died). I cried so much my eyes probably turned all puffy. I felt a great relief to finally watched the whole thing and realized that it is sad, but it was a meaningful ending. I agree with @snguyenova that KT has MD's spirit. I think the scene where she was touching his cheek made me feel like she was transferring her spirit to him. While I was watching episode 1 again I saw that nobody dared to approach Lee Kang To (MD described him as the spirit from hell) at the beginning. The first scene that appeared in episode 1 was beautifully done. Almost everyone was there at the scene where KT was marching on his horse and he was making everyone cried for the Emperor and Mok Dan was the only person that was not afraid of him and used the rock to throw at the Emperor's picture. After some reflections I know that I used to call MD stubborn, but I don't think MD is a stubborn person. I think her spirit is very strong and it is the equivalent of what her dad said as an egg fighting against a rock. Through my observation from beginning until the end, MD's spirit was never shaken and she had always been so faithful to Joseon and her Young Master. She was never afraid of sacrificing herself to either Joseon or KT. And no matter how much torturing she went through with both KT (at the beginning when he was still a mean person) and Shunji (he was oppressing and harassing her in many ways), yet she was never afraid. Her spirit is so strong that you can only end that spirit through killing her, but even when you kill her her spirit would still live on because her spirit is being passed on. (It's the spirit of people from a nation who is fighting against those who oppress them. Almost all nation has this kind of spirit and Korea had this kind of spirit, too when the Japanese was oppressing them). I flipped back old pages for information and found that some people mentioned that MD was KT's guidance/light and like snguyenova was saying MD was like a light to KT because she seemed to be a strong person who fought for Joseon people from the beginning. MD had always been the same and constant especially with her unfailing spirit to fight for the Joseon people, thus it makes sense why she would be KT's behind-the-scene. For me they both balance each other out and they're like a team. He's doing all the actions and she's behind supporting him and it showed so in various episodes where she was helping him in the bus and delivering messages. She was never the type that waver around and was always a determined type. I personally think that KT was influenced by MD towards the end when she died and asked him to make a promise, but at the same time I believed that KT stood up after the grave scene because he was being a logically person since he was shocked to see that not only his wife died, but many hundred innocent lives were killed also. Part with Rie and Jun was also touching. Seems like Rie is a very rational woman. She knows she shouldn't follow a path that will kill her. Her suggestion for Jun was nice. It was never around-the-bush. I think Rie probably will find out about SJ's death eventually later. I guess she left for Tokyo, no? Confused. Not sure where she went, but I don't think she was with BM at the end, right? @mojobobo, I personally think that SJ did receive his salvation. Towards the end when Rie was asking him to go with her but he refused to go. He wished her well and asked her to live well. I think he was remorseful of MD's death and maybe that shed some light into him knowing he had killed her and that created some shocks. He was crying in acceptance and I think he knew that KT will come after him. I just think that he didn't want to kill KT, so he decided to die instead since he probably felt sorry for KT & MD. If he didn't die then KT will have to die, so it would be fitting for him to just end his life since (maybe for his thinking) he had nothing left to live for. SJ killed MD by accident just like KT killed his brother by accident, but because SJ was warned before hand by Rie, so I didn't feel pitiful for him afterward. And adding on to MD's death is hundred of lives. After watching it, I felt sorry for SJ, but I agree with stearly that SJ needed to repay (maybe repent is what I really wanted for SJ...I was wishing he died some other hands, but him killing himself like this is very similar to Tamao; however I don't think SJ was totally a coward. His decision was made with rationale after waking up from craziness, so maybe he will spend time in the purgatory for a long time, but he'll eventually be admitted to Heaven. Actually Heaven is free and opened all the times for those who want to go, but as soon as one sins one feels unworthy to be there. I'm not sure how SJ would feel, but he looked like he was being logical about his death, so I hope he didn't die in vain towards the end). Anyway, I am so glad I'm done with this drama finally after about 1 month that it aired. It was one of the memorable dramas ever and it'll be always be in my heart. I think I'll only rewatch scenes with KT & MD together. Everything else I'll skip since it's sad and I might cry, too much watching the bromance relationships also. @sunshine4ever, regarding that interview that the leads did at the farewell dinner, I think @mrdimples and me would have probably translated all 4 of their answers but I have no idea where they are already ahahha!!!! @mojobobo, cool..I'll dig it out if it's in this thread by the way I edited my message to you...lol.. gosh writing at night is painful where you make so many mistakes! my brain is 40% awake. i meant to say that Heaven's opened for those who feel like they should belong there...i hope that SJ will be there after the rationale decision. I'm not sure what the scriptwriter said, but I think the drama itself is very opened to viewers and how they take it..I take it that SJ was back to his old self at the end. So it's a happy ending for me even though he had to die like that. @sunshine4ever, well yes Heaven is open to anyone who accepts God when they finally meet him. I just wished Shunji had made the decision to stay alive and make amends because.. I don't know, I guess it shows that change is never too late and redemption can come at any time but only if you want it. I just want people to be happy hahah and it seemed such a waste that a bright young man gave up on life. mrdimples' comments: I love the way Joo Won describes his female co-stars. He was so in awe of Eugene and so respectful of her. I also love that he said in order to portray love in a convincing manner, he would open his heart as the character would to the girl. So that's the secret as to why his romantic scenes are always so realistic to the point that viewers would always root for him and his co-star to pair up. He must have also 'invested' his own emotions into the character and genuinely felt the care and concern for his lady. He is still close to Uie but their relationship is more like that of brother and sister. I think this is the first time I hear him say this. He had in an earlier interview said that he had developed good feelings for Uie but neither party took the first step. So it was a missed chance. Anyway, it's good that they remain close friends. He continues to sing praises of Se Yeon. I think her personality must have dazzled him. 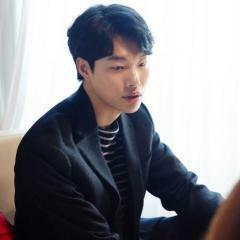 It was a major revelation that he had in some way played a part in Se Yeon landing the role. Well, as I said before, there is no woman in his life for now. But who knows what the future holds?